That Schafter GTR looks great! Here you go! Credit to Gui.SC for the picture. Someone needs to make GTA lore-friendly version of the '17 Mercedes AMG GT R, maybe based off of the Surano. That Schafter GTR looks pretty amazing but I couldn't help but notice the Karin Hizoku on the first page, please tell me there are more photos because this looks amazing. 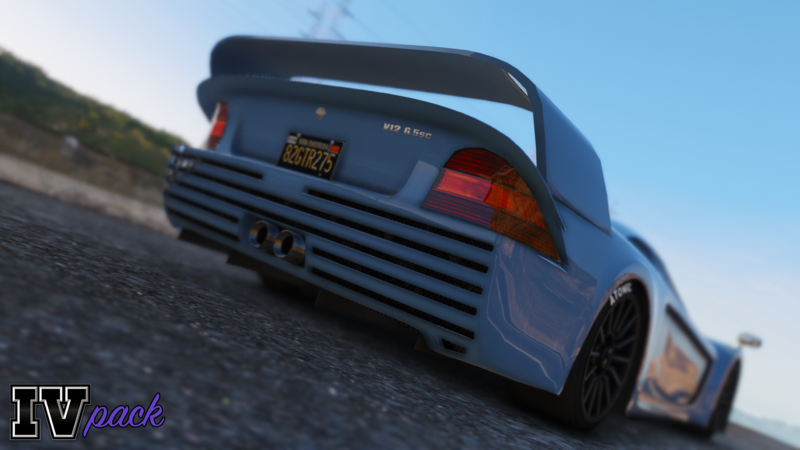 Other car ideas worth mentioning are the classic Jester (from SA), the Deluxo (from VC, please someon make this into a car), maybe a car based of the Camaro (SS, ZL1), or '99 Eclipse (maybe based of the Penumbra). Another one is the ZR-350 from SA (based on the RX-7), car based off the 2001 Acura NSX and lastly but not least a car based off '97 Acura Integra Type-R. I couldn't help but notice the Karin Hizoku on the first page, please tell me there are more photos because this looks amazing. It can't look more Japanese than this. Why is it a Karin? Probably because he's using the Karin Rebel pick-up bed and it would be too much work to change the name on the tailgate. 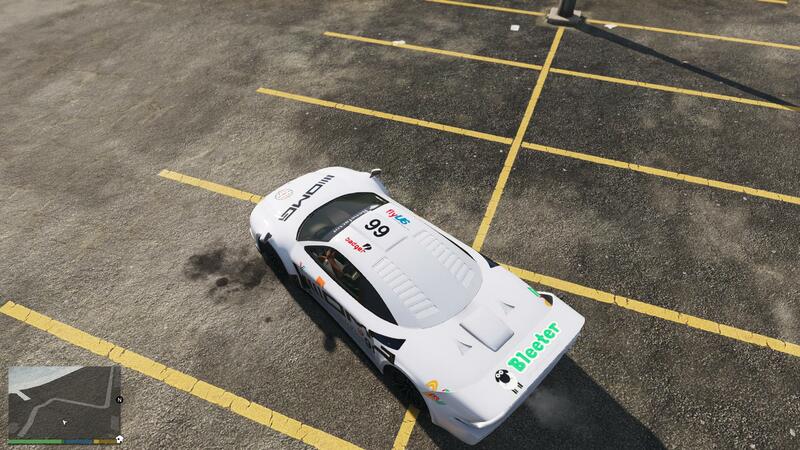 Feel free to do your liveries! Send them to me and I'll include them to IVPack. I tried to recreate this one. Can you please try and put it on? EDIT. Whoops, I forgot about the license plate. Can you please turn it into an extra? Or at least tell me which side of the spoiler is the upper one, so I can put the "Bank of Liberty" sticker on it? This is the best I could get with the current mapping. Feel free to do whatever you want with it. 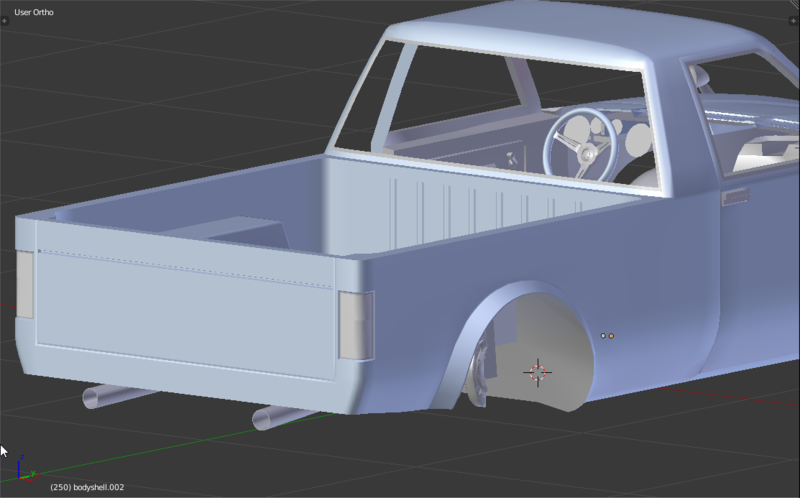 Nah, i left the truck part mostly stock to be closer with the real thing which is a frontswap on the datsun b120 pickup with a c10 skyline front. Since gta doesn't really have a pickup that resembles the datsun i just used the rebel, i could easily change it so it looks closer to the datsun but it just doesn't fit. I mean, it's your project and I know how out of hand and annoying sugestions can get, but I think it's going to look a lot better if you leave the tailgate blank. Seeing the Karin logo in the back and turning around to see the front end of a Vulcar just doesn't make a lot of sense. Plus, people put the Skyline front end on Sunny pick-ups, but they are both from the same manufacturer and share a number of mechanical parts anyway. CP, somehow I didn't notice that the spoiler obstructs the 24/7 logo, now I moved it to the sides of the rear bumper. Also tried to compensate the stretching above the rear wheels. 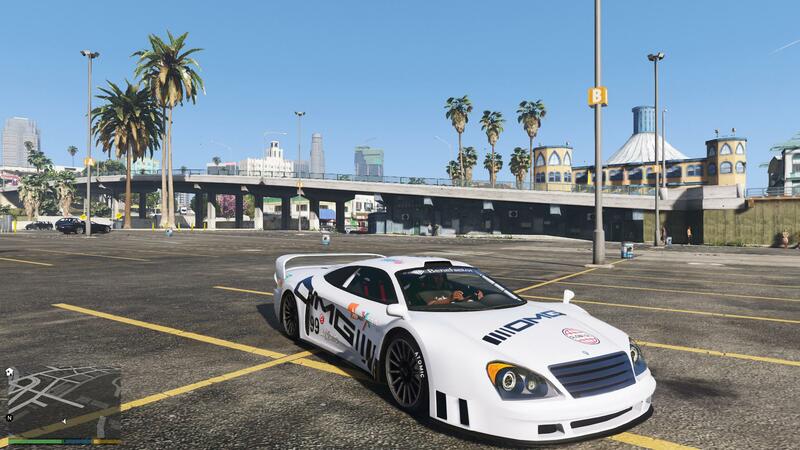 I wouldn't mind seeing that car in GTA Online as a Tyrus' rival. Someone needs to create a thread for car suggestions. I have some more car suggestions/ideas, yay! In Mafia 3 there's the car "De'Leo 58" which is almost 1:1 representation of Datsun/Nissan Fairlady Z. 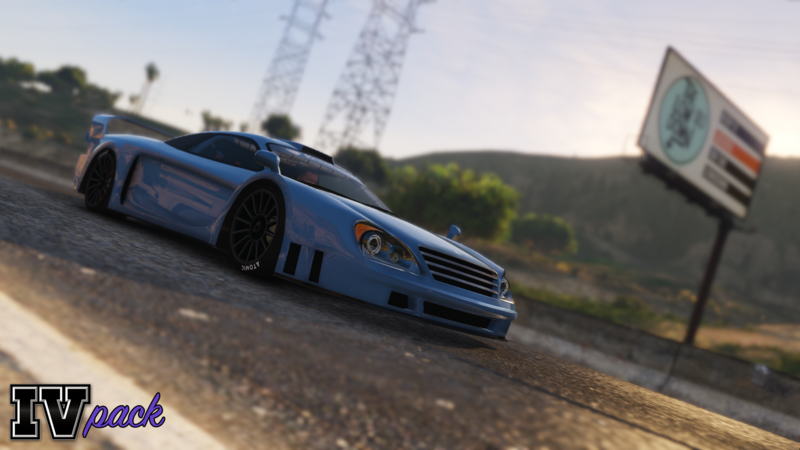 With some small changes and rebranding it to Annis it would be a really nice and lore-friendly addition to GTA (BTW Mafia 3 has some amazing vehicle models that would really fit GTA's classic versions of modern cars). Another one would be "De'Leo Capulet" which is the Ferrari 250 gto (these classic vehicles would fit perfectly in an "Old Timers" DLC pack). "De'Leo Stiletto" looks similar to the Maserati Ghibli 1, if you ask me this thing looks even better than the Ghibli. Another one would be the "Lassiter Leopard" which is based off of the '67 Camaro and in GTA classic muscle cars are scarce. "Potomac Ascent" I don't know on what car it is based off but it's cool and I like it. The "Samson Drifter", straight off the bat it is primarily based off of the '70 Ford Torino GT and some design cues from a charger it would look amazing as a Vapid vehicle as well as an Imponte vehicle. "Samson Duke" it looks like a '68 Chevy Corvette and looks like the Banshee from VC (maybe rename it to Banshee classic). While the ingame Coquette classic bares some resemblance to the Corvette C2, the "Duke" looks more like a C3. The "Samson Lokata" which is based off of the Willys MB Jeep, it will be like a Messa classic, or another Canis vehicle altogether. I talked about the cars from Mafia 3 because I saw the classic version of the Dominator based off of the Stallion in the game and I think some other cars would make for a nice addition to the Vanillaworks's vehicle roster. 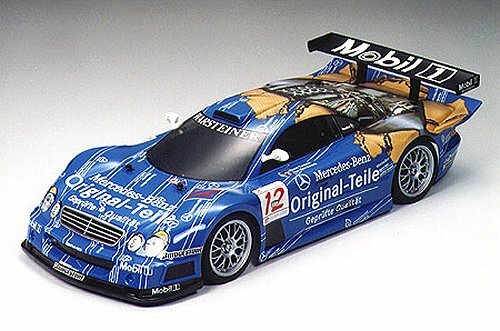 http://filterdigest.com/wp-content/uploads/2016/01/mercedes-benz-clk-gtr-pics.jpgBased off fo this but with the "Pißwasser" replacing the "Warsteiner". http://www.rcscrapyard.net/clas_files/Tamiya-58244-Body.jpgAnd maybe this with the "Original-Teile" being replace by the "Tenshun" brand/logo. Second one is impossible to replicate. We have plans to convert more vehicles from Mafia 3, they're just waiting until the current projects are complete. Really looking forward to the Schafter V12, two questions, how will the doors open up, regular or butterfly like the base car, and do the front and rear clamshells come off/open? 2. No but the engine compartment hatch can open.